It’s hard to believe that some experts refer to e-mail marketing as antiquated, but that’s exactly the rap it’s been getting in some circles. The thought of e-mail marketing has seemingly been moved to the backburner, particularly with the rise of social media platforms like Twitter, Facebook, and LinkedIn. But diving deeper into the numbers tells a different story. A recent Salesforce survey showed that 60% of marketers are planning to increase e-mail marketing budgets in 2015. That same report shows that 73% of marketers value e-mail marketing as being “core to their business.” Given this report, it would appear that e-mail is in fact more popular and more important to marketing than it ever has been. The smartphone revolution has fully taken hold of western culture. Everyone is continually plugged in and accessible, which means the opportunity to connect with potential consumers is at an all-time high. 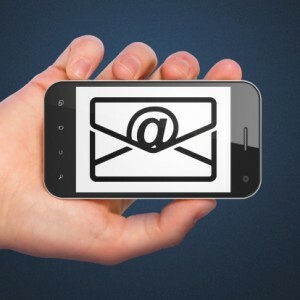 Though some initial detractors thought the advent of the smartphone would diminish the relevance of e-mail marketing, e-mail providers have designed responsive templates that have appealed to consumers and made it simple for them to view and respond to notifications. That being said, it’s no surprise that close to half of all e-mails are accessed from a mobile device. Steve Dotto, executive producer of Dotto Tech, said it best: “Follow the rules. They are easy enough to follow.” He was specifically addressing marketers’ concerns about the new Canadian anti-spam legislation (CASL), which has been ridiculed for its stringent opt-in requirements and hefty fine rates. But Dotto assures that if companies are ensuring they have permission and a clear link to unsubscribe from receiving e-mails, there should be no issue with continuing any marketing campaigns as planned. It should also be noted that most e-mail service providers handle most of the compliance issues, so there should be little concern. Legitimate and creative marketers always find a way, and getting around this piece of legislation should not be much of a challenge for companies looking to execute effective and compliant e-mail marketing strategies. The positive takeaway from the CASL is that e-mail marketing will now have more of an impact. Canadians will have to dig through less junk e-mails, which means they are viewing more messages that matter; this gives marketers a better gauge of how their campaigns are truly being received. So in retrospect, the CASL should be seen as an opportunity, rather than any kind of a hindrance to their efforts. E-mail is a strong form of marketing because it allows you to communicate with consumers who have actively shown an interest in a product or services your company offers. This trust is something you need to maintain, and there are steps that can be taken to assure this is done correctly. First, it’s important to remember that as your e-mail list grows, individuals are entering and leaving different cycles of interaction with your brand. Ensure your messages are customized to reflect the stage of each subscriber and their habits. In order to do this, you will need to constantly manage and update your list and keep them segmented to avoid sending generic e-mails. As you manage and divide your lists and are preparing to send out content, keep in mind that appearances do matter. Use a layout that is easy to read, complete with images and fonts that are clear and meaningful to the content. And maybe the most important rule when distributing your content is to focus on the consumer rather than your company. People want to know how being a subscriber and receiving these e-mails will benefit them; if they wanted to know more about your company, a simple Google search would suffice. In the end, your e-mail marketing strategy will undergo constant changes. You need to anticipate those changes when possible and make the correct adjustments as subscribers’ behaviors change. Macromark is able to successfully execute e-mail marketing strategies and can assist with brokering lists to help gain new leads. Visit our web site now for more info on why Macromark should be part of your next e-mail campaign. Cyprus, J., “Email marketing in 2015 set to grow, become more complicated,” DigitalJournal.com, February 25, 2015; http://www.digitaljournal.com/technology/e-mail-marketing-in-2015-set-to-grow-become-more-complicated/article/426999. “Ask the Experts: Why email marketing still pays off,” Business Vancouver web site, February 23, 2015; http://www.biv.com/article/2015/2/ask-experts-why-email-marketing-still-pays/.